(LOS ANGELES, Feb. 6, 2018) – With California beginning sales of legal recreational marijuana this year, more people than ever are looking for information about the products they can buy. Marijuana businesses also are searching for ways to connect with cannabis-curious consumers. No site does a better job for both than dispensaries.com. 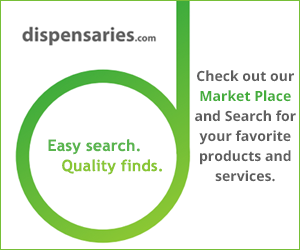 At dispensaries.com, based in Los Angeles, the focus is always on providing the latest information about the marijuana industry for consumers. The site’s Market Place offers hundreds of detailed listings on a wide variety of products. These include edibles, vaporizers, topicals and the increasingly popular CBD products made without THC, the active chemical ingredient in marijuana. CBD products can treat such issues as chronic aches and pains, nausea, anxiety and depression. It’s the perfect site for Californians who now enjoy legal access to both medical and recreational marijuana. Businesses that partner with dispensaries.com can reach the thousands of potential customers who visit the site every day, searching for information about cannabis as well as the latest products and services they can buy. It’s a rare opportunity for cannabis businesses to reach informed, motivated consumers. While hundreds of businesses and online sites have flooded into the marijuana market, none provide the combination of resources and product information like dispensaries.com. “We take our commitment to both cannabis-curious consumers and the marijuana industry seriously. The industry is still young, and both information for consumers and marketing opportunities for businesses remain fragmented. We offer a place where the two can connect,” said Jatwani. No website offers what dispensaries.com does for cannabis consumers and businesses in California and around the country. With millions of potential cannabis consumers now entering the market in the Golden State, there’s never been a better time to put the power of the website to use.